SOURCE: Hamilton Lund, courtesy of Tourism Australia, the tourism promotion authority of the government of Australia, used with permission. Princes Bridge is a historic bridge built over the Yarra River in Central Melbourne. It is built on the site of one of the oldest river crossings in Australia, being the third bridge on the same location. The first was built in 1844 and the current one in 1888, making it 120 years old. 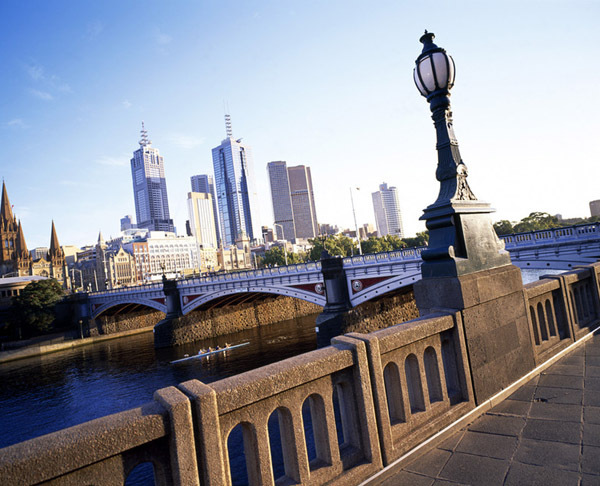 Because of its location, Princes Bridge is often a focal point for celebratory events in Melbourne such as the Moomba Festival, New Years Eve and many celebrations taking place on the Yarra River where it flows through the city.